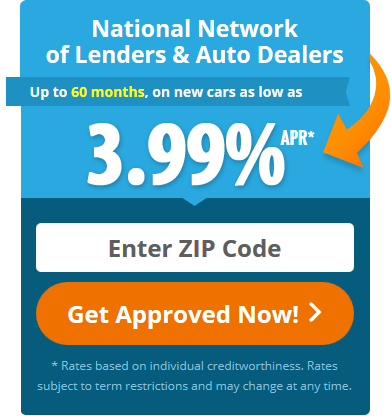 How to Get a Car Loan and How to Get a Car Loan with Bad Credit. The processes for how to get a car loan and how to get a car loan with bad credit are similar however, the options and sources of car loan companies are different. People with good credit have many options such as banks, credit unions, automobile manufactures’ captive finance companies and a plethora of online car loan companies. If you have credit problems, the available sources of bad credit auto lenders for getting a car loan with bad credit can be very limited. Learning how to get a car loan starts with understanding “The Three C’s” car loan companies use in the application evaluation process. Collateral: Refers to the car considered for the loan. Car loan companies have internal underwriting guidelines to determine how much they are willing to lend for any particular vehicle. Capacity: Refers to the ability of a borrower to repay a debt. These considerations include items such as the length of time someone has been employed (typically one year with current employer), gross monthly income (usually $1800) and a debt to income ratio less than 45% (monthly living expenses such as rent, car insurance and monthly revolving and installment payments / gross monthly income). Character: Refers to an applicant’s credit history (most significant in how to get a car loan with bad credit). Information on a credit report such as amount and type of credit, payment history on revolving and installment accounts, collection accounts, judgements, tax liens and bankruptcies are carefully reviewed in the approval process. In summary, managing your debt and knowing how to get a car loan greatly improves your chances for getting approved. Know your credit score before you apply as this will allow you to negotiate the best terms of a loan. If your credit score is 680 or higher, you should qualify for the best interest rates including 0% financing offered by most car loan companies. Additionally, knowing how to get a car loan for bad credit will help you understand if you should apply for car financing through a company like BlueSky Auto Finance (we serve credit scores from 550 and above) or if a buy here pay here car lot is a more appropriate solution for your individual needs.